Chopin’s Prelude in E minor, op. 28 no. 4, is a piece that has haunted me for years – the way it falls and falls, a kind of disintegration, just managing to stay intact. I could write a million versions of this piece, echoing that falling. One of my favourite Danish novels is Peer Hultberg’s fictional Chopin (auto-) biography ‘Præludier’, also a series of exercises in obsessional nostalgia. 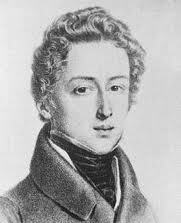 Chopin actually died as a political refugee after having fled Poland with thousands of his fellow-countrymen following an unsuccessful rebellion against the Russian Tsar Nicholar I in 1839. Chopin used an international tour as an opportunity to escape, and settled in Paris, in his father’s original homeland. In protest at the Russian occupation of Poland, Chopin refused to set foot in the Russian embassy in Paris, in order to renew his passport – an amnesty that was offered during a limited period to Polish exiles. This prevented him from ever returning to his native country. After his death, however, his sister had his heart sealed inside a church column in Warsaw, while the rest of his body was buried at Père Lachaise cemetery in Paris. Chopin’s last recital was for an audience of Polish refugees in London.